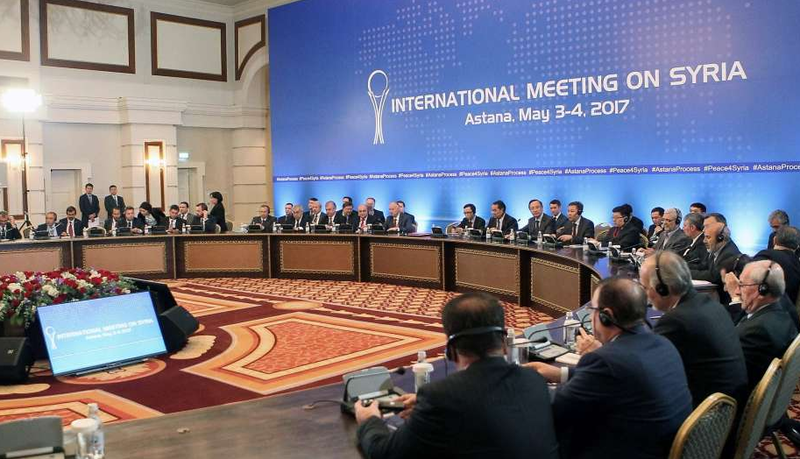 The head of the Syrian delegation in Astana Bashar Jaafari expressed gratitude to the efforts of Kazakhstan, Iran and Russia, as the memorandum opens new opportunities for the political settlement of the crisis. Even Saudi Arabia Foreign Minister Adel bin Ahmed Al-Jubeir supports the creation of de-escalation zones. Unfortunately, during the signing of memorandum a number of the opposition delegates opposed the peacekeeping initiatives. The actual initiatives of the opposition are unknown. As a mark of protest, a number of the opposition delegates decided to leave the room, referring that the adoption of the document violates the territorial integrity of Syria. In addition, the armed opposition insists on that Iran can’t be a guarantor state and they don’t adduce any weighty arguments. It isn’t very surprising that the opposition has rejected the memorandum. The primary target of guarantor states’ initiative is the protection of civilians, and as it is temporary, it won’t affect Syria’s sovereignty. The actions of the armed opposition clearly showcase to the world that they are not interested in the fast settlement of the crisis. In this case the armed opposition doesn’t differ from ISIS or Hayat Tahrir al-Sham. That’s why the guarantors have taken the initiative to save Syria as the hesitation of the Syrian government’s opponents is a heavy burden for the country – innocent people keep dying and the civilian infrastructure is being damaged. If action isn’t taken Syria will be completely destroyed.